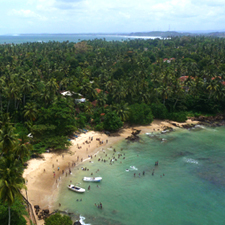 Travel to Sri Lanka, one of the most exceptional and least known destinations in the planet. A small country where to find amazing landscapes, an ancient culture and unique experiences. Mayaliya, a group of people from Barcelona and Sri Lanka, would like to invite you to discover this great little country, feel the spirituality of its temples, breathe deeply surrounded by tea estates, swim in its tropical waters or share with the local population the magic of its festivals. 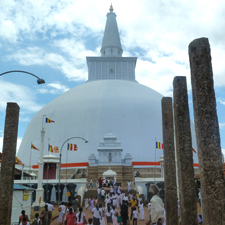 Mayaliya offers tours to Sri Lanka with customized routes, experiences and budgets. In Mayaliya we also want to put at your service our contacts and experience in the country through our consultancy, through which you can hire our logistics, organization and management services. We will make your work and stay easier, becoming your support, landmark and contact for any queries, problems or specialized task you may require. In addition, each time you hire a service or tour through Mayaliya, you will be directly helping the economic and, above all, human development of Sri Lanka, a country deeply affected by the 1994 tsunami disaster and long years of conflict. We contribute our grain of sand with Mayaliya Association.